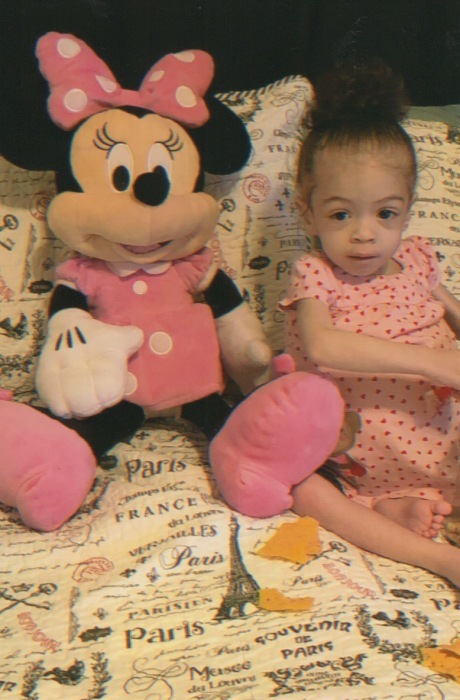 Tyliah Re’Anne Gregory, age 2-1/2 years of Franklin, KY, entered into rest Thursday, June 21, 2018 at 9:43AM at her residence. Arrangements are under the direction of Gilbert Funeral Home where services will be held at 2:00 PM Sunday, June 24, 2018 with burial to follow in the Greenlawn Cemetery in Franklin, KY.
Tyliah was born December 18, 2015 to Robin LeAnne Gregory and John 'Quez Rutherford of Franklin, KY whom survives her. She was preceded in death by a brother Tavielle Malik Rutherford, great grandfather Rex Gregory, great –great aunt Rachel Barber and cousin Cheryl Barber. She is survived by 2 brothers Jacarius Reed and Kayson Gregory; maternal grandparents Jennifer Cantrell and Lucian Transley; paternal grandparents Randy Gregory and Selena Gregory; paternal great grandmother Virginia Gregory all of Franklin, KY; 3 uncles Tieran Duncan, Kaleb Gregory and Zackery O’Neal; 3 aunts Megan Gregory, Mercedes Transley and Ambria Cantrell and 3 maternal great aunts. Visitation will be from 10:00 AM until 9:00 PM Saturday, June 23, 2018 and 6:00 AM Sunday until funeral service time at Gilbert Funeral Home.